The Coot chick that was washed over the weir at the outflow of the Serpentine has spent weeks at the bottom, at first unable to climb out and then unwilling because it was comfortable in the sheltered enclosure and its parents were bringing food. It has finally got bored and come out into the world. The parents are still feeding it. One of the young Great Crested Grebes at the bridge caught a fish for itself above one of the water bubblers, which is why the surface in this picture is so turbulent. 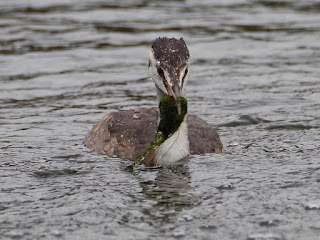 The fish came up covered in weed, from which the grebe carefully separated it. 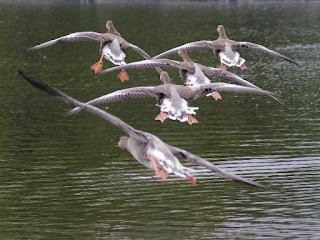 This is the fishing technique that grebes use when there is a shoal of small fish at a depth of a few inches. No need to dive properly, just look down and grab. 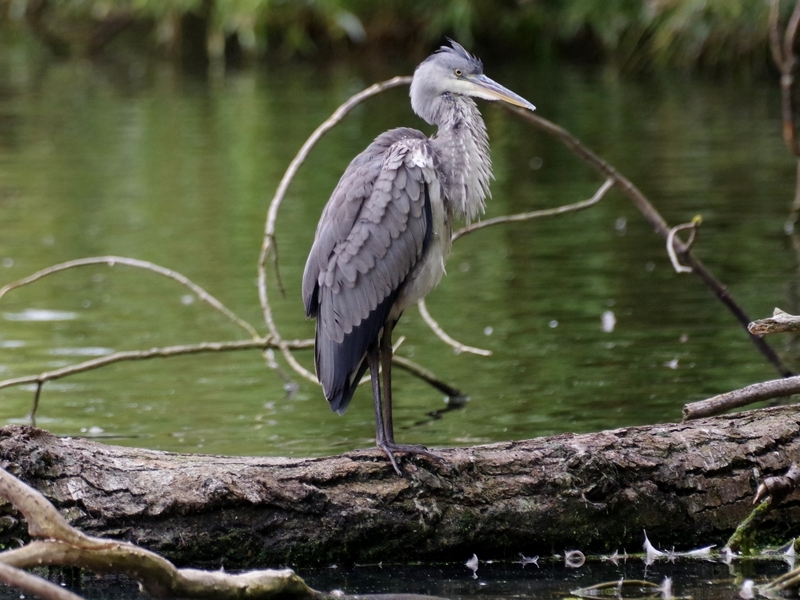 The small waterfall in the Dell is a place where a Moorhen can find bugs to feed its chick, and a Grey Heron can stand and wait for fish to pass below. Greylag Geese whizzed overhead to touch down on the Serpentine. 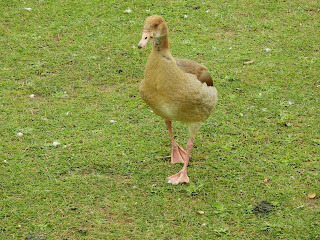 The undersized Egyptian gosling was on the Vista, now nearly grown up but it will always be little. 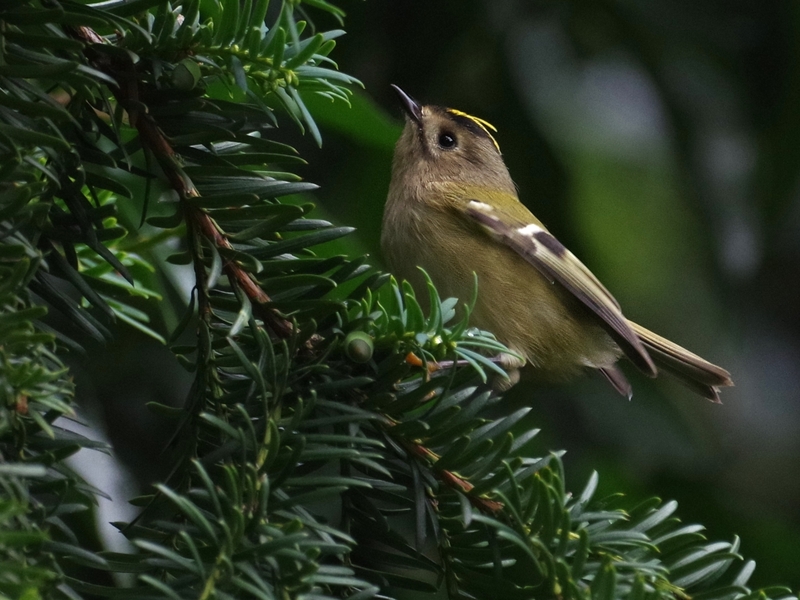 The number of Egyptians in the park, which had been falling steadily for a couple of years, has now suddenly gone up, and at my last two counts in August and Septemeber stood at 53 and 93. 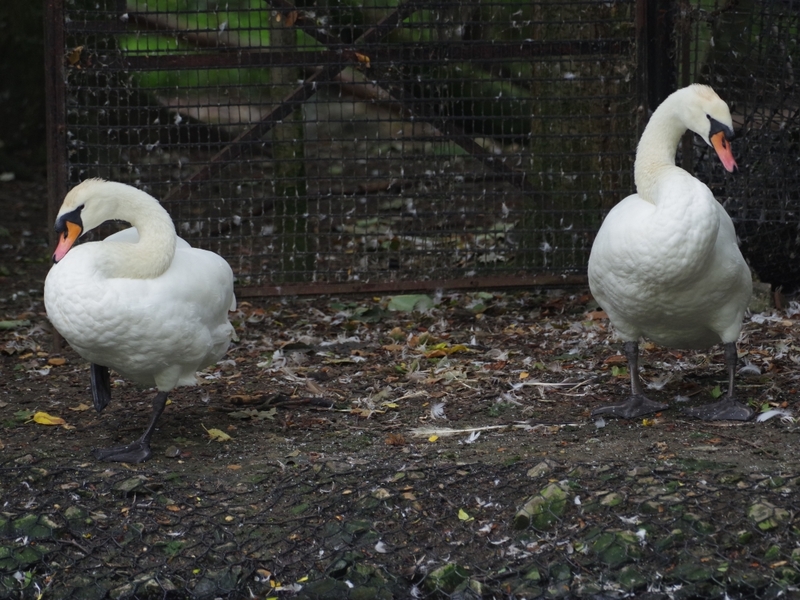 They must have been displaced from somewhere else and flown in. The female Mute Swan at the island, now fully recovered from her recent trauma, preened with her mate in front of the gateway, making it hard for geese to get in and out. 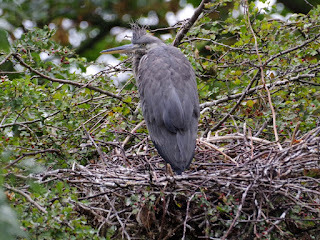 One of the young Grey Herons from the island stood in the nest and raised its punkish crest. 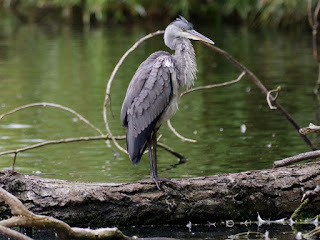 The other one was on a fallen tree in the Long Water. 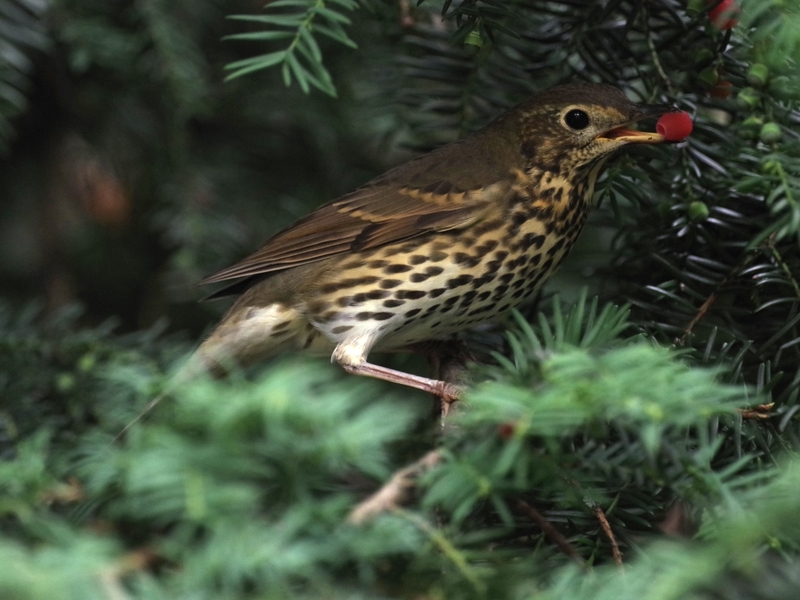 A Song Thrush ate a berry in the yew tree next to the bridge. A Goldcrest flitted about higher in the tree. 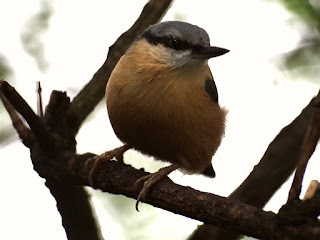 One of the Nuthatches in the leaf yard came out to be fed. 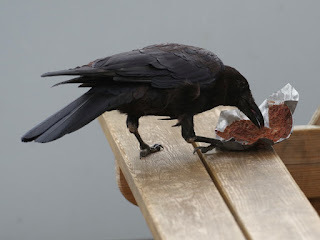 A Carrion Crow picked chocolate cake crumbs off a cupcake wrapper at the Lido restaurant. There was no sign of the Little Owl in the oak tree near Bluebird Boats, wich was not surprising on a chilly morning. 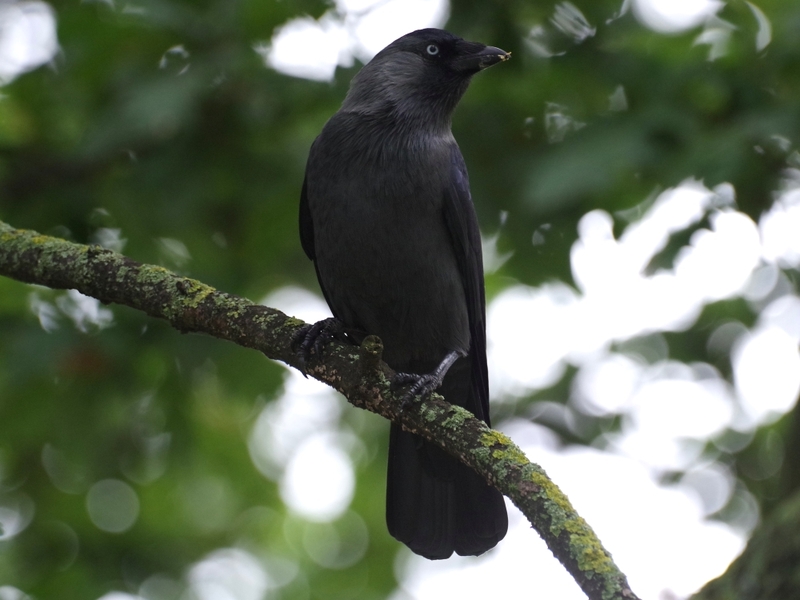 But a Jackdaw was in the tree, probing the bark for insects. 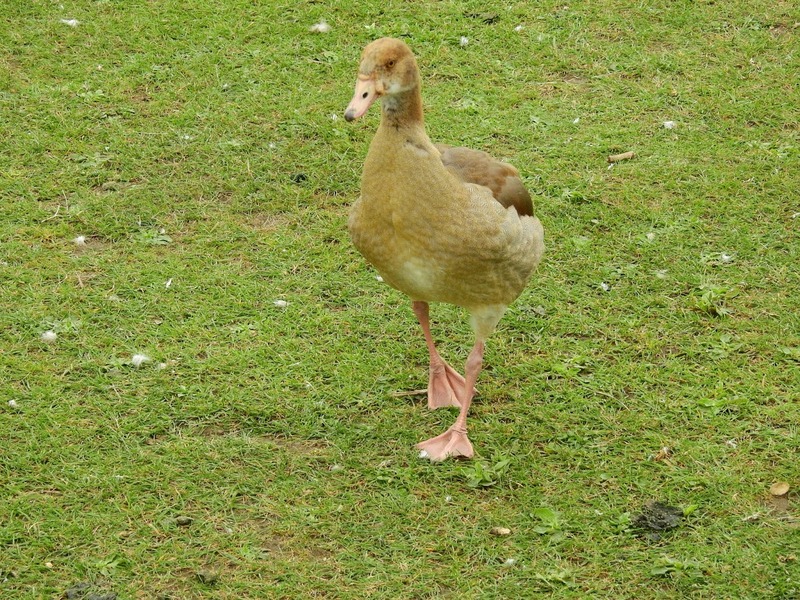 They are slowly expanding their territory, and this is the farthest east I have seen one so far in the park. 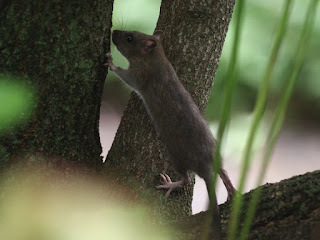 In the Rose Garden, a rat climbed a tree to get to the bird feeder. The wildflower patch in the Rose Garden has been both successful and long lasting this year. It is much better than the one behind the Lido, which never amounted to much this year. 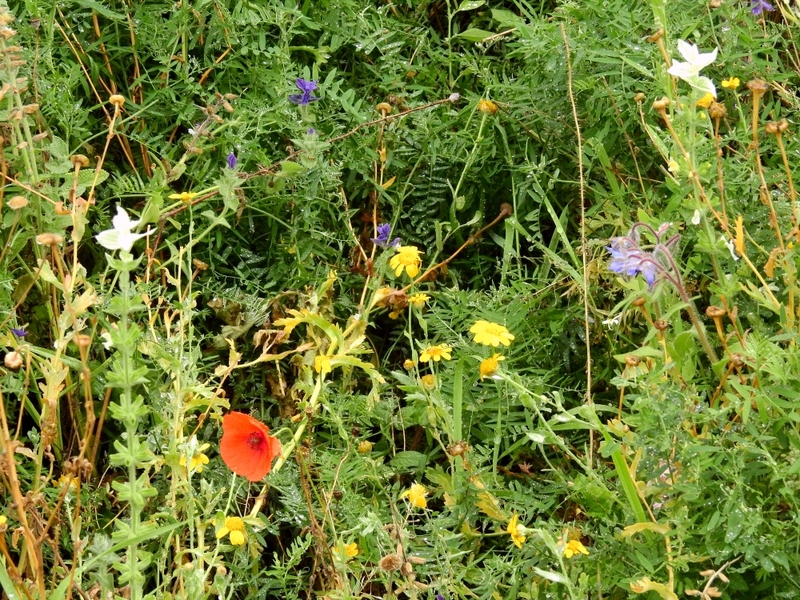 Getting the right seed mix for English wildflowers is clearly a tricky business. One year the gardeners tried to grow them under the Henry Moore sculpture in Kensington Gardens. They were sold a job lot of seed, and some very strange plants came up, including tobacco and datura. 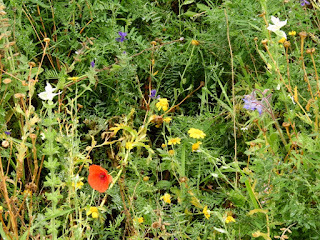 I love the idea of wildflower patches. That one is looking splendid! 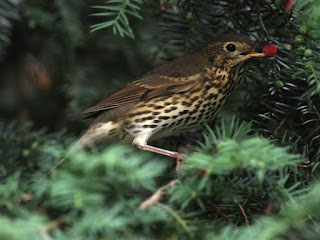 I hope rats are not a problem for birds. That one is quite sizeable. 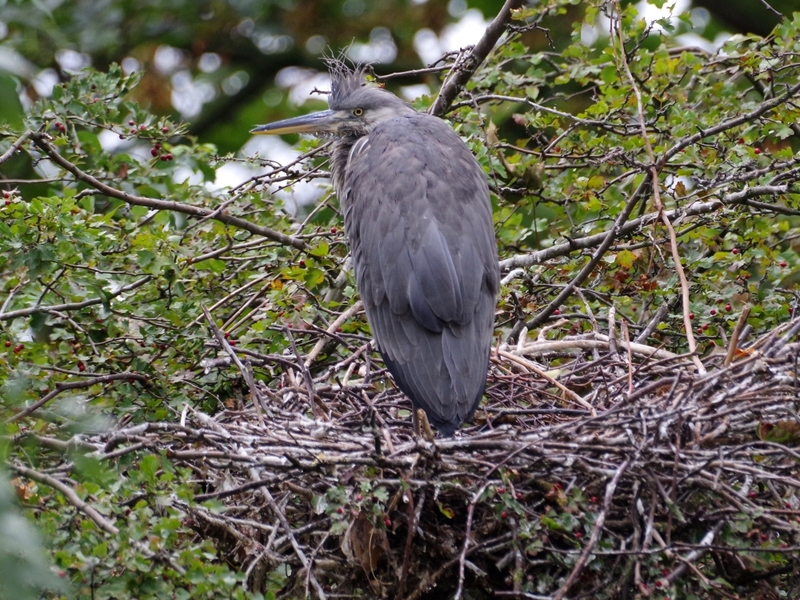 I fear that rats do climb up to birds' nests.